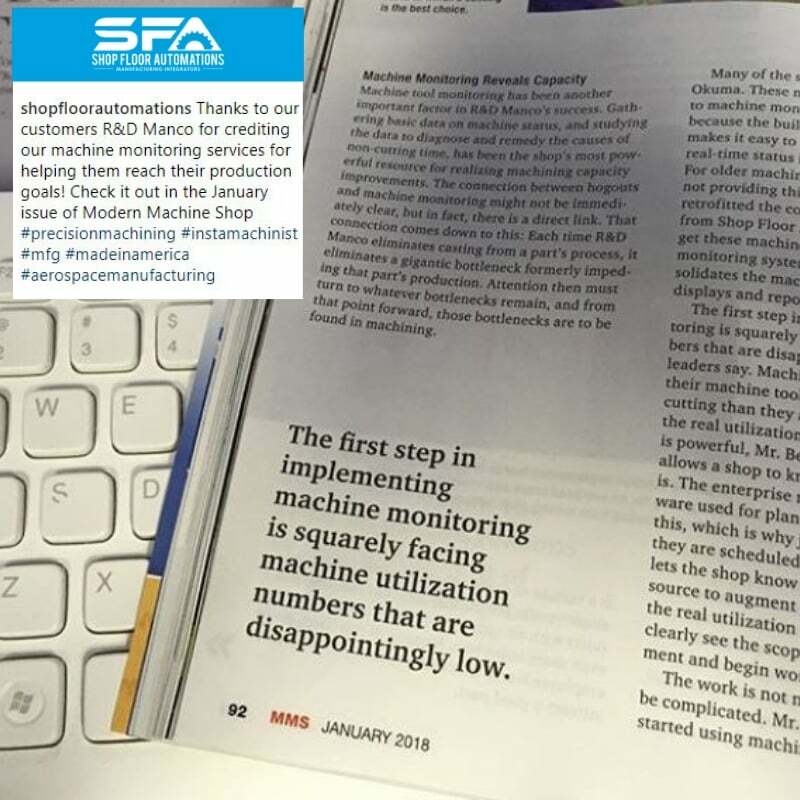 Shop Floor Automations (SFA) is a big fan of Modern Machine Shop Magazine. We always appreciate when our pieces make the cut for this prestigious publication. March 2019 – Rise Up Industries, an organization in San Diego County near our corporate office, made the pages of this publication. SFA worked closely on this collaboration. You can see the original length article on the MMS blog. June 2018 – We made the 90th-anniversary issue. Fun fact – this was the same year as our 20th anniversary! Our full-page spread on our LAN-USB Hardware device discussed adding Ethernet and USB to CNCs. Because the issue featured a retrospective look at shop floor technology, we were humbled to be included. October 2017 – SFA Customers at Stollen Machine were dropping programs because of old cabling. So in order to increase productivity, they invested in wireless RS232 units. This gave them back 15% more time daily, according to this case study.